Happy New Year! Reflecting on 2016's achievements and some targets for 2017 + some holiday chat, new toys to share and what to expect from JabunAudio in 2017! Happy New Year everyone! I hope you all had a refreshing winter holiday whatever you got up to and are ready to take on 2017 with a full breath of fresh air and energy! I had a wonderful time back in my hometown visiting family and friends, mostly making the most of being back there (lots of cool stuff in Brighton), chilling and playing video games with my brother and catching up with everyone. I also went to see the new Star Wars: Rogue One film which was simply amazing (BRUTAL though) and had a play on a lovely Fender Jaguar guitar, which felt and sounded amazing and is definitley on my wishlist now! My only regrets for the winter break are that I didn't managed to get on my skateboard while I was back (too frosty and/or wet), and that I wasn't able to to play my homemade double-neck guitar (which I am very much missing right now... ) as it was packed away and not possible to get to while my childhood home is being redecorated and having some building works done. I also managed to pick up someone's cough/cold (thanks guys... ), which I'm still suffering from, so hopefully that'll be gone soon and I'll be back to singing again. On the brighter side of things though, I recieved some awesome gifts for Christmas including two new instruments to add to my musical armory! The first was an amazing and unexpected present from some family friends: a tenor saxaflute (G), essentially a bamboo saxaphone in the key of G with a tone most similar to the lovely tenor saxaphone. and a fundemental range from the G below middle C to the G above (+ higher registers which I've yet to figure out). This is my first instrument with a reed so it'll be a while until I'm practiced enough to use it effectively, but it's sounding lovely so far and I've mapped out the chromatic range of the fundemental register which will no doubt aid in my playing. Hopefully with some more work, you'll be hearing this in the next BTTB album! We'll have to wait and see! 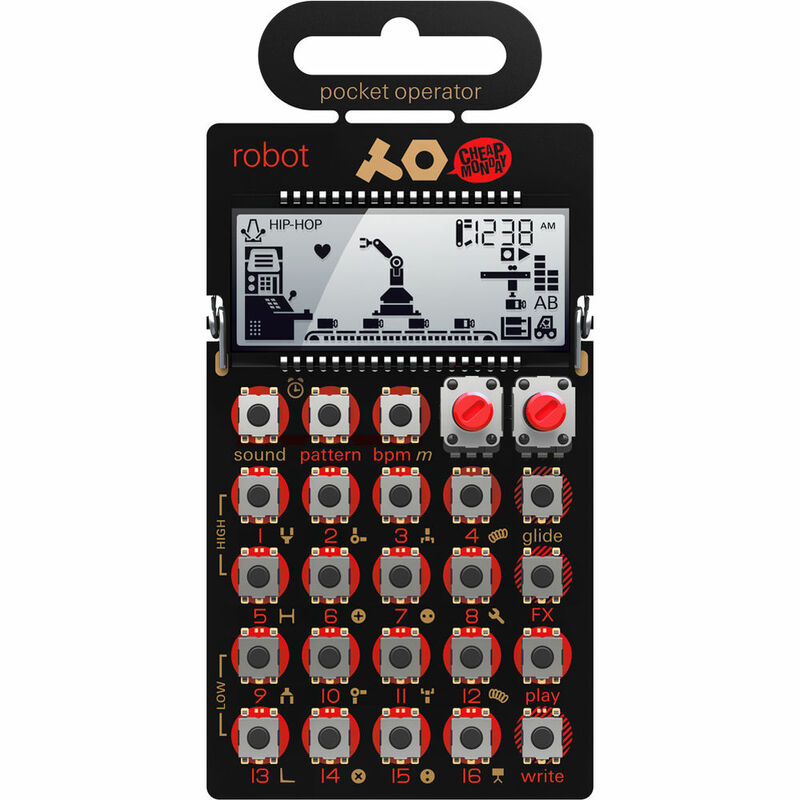 The second new instrument was from my brother to aid in the creation of my 8-bit and chiptune inspired work: a Teenage Engineering Pocket Operator PO-28. Although this thing may look like a naked calculator, it's cabable of some incredible and inspirational sounds for the genre. The interface took a little while to get used to, but it's not as complicated to learn as I was expecting and you've essentially got yourself a drum machine, synth & sequencer + another live synth as well as a ton of live performance effects to play with. Plenty of stuff to get some great ideas and jams flowing. With the ability to sync it up with my other equipment too, it fits right in my synth rig and I'm looking forward to using it very soon, maybe even in the last couple of track in this JabunAlbum!? Again, we'll have to see where inspiration takes me, but I can tell this is going to be another great little tool for making the music I love to make! Thanks so much guys! Looking at it face on I think we did pretty well! without, I would be alot less comfortable in my new studio another great investment! a lot of great animations too! Some summer adventures with Fun Station 4 Kids have been great too, and the recent Yu-Gi-Oh! job has been the icing on the 2016 animation cake! Definitely a success! 5) I think the previous points are evidence enough for this point, but it's an ongoing one so I'll keep working on it! And with the developments in A P O T H E O S I S music, Cyberdevil's Back 2016, Charlotte's Web Instrumental Commission, and World Beyond's Mindshell album (to name a few more unexpected things), I think I can safely say 2016 was undoubted a succesful year for achievements in JabunAudio! Let's continue that trend in 2017 and make it even better! the Jabun one is finished! Aiming for a beginning of 2018 release. Planning has already started! everyday will make sure I keep growing! And I guess that's about it for this week! Hoping 2017 is an even better year than 2016 and I'll be doing my best to try to make that happen! Next week's work is set to be more on the album, and with any luck and hearing back from people, I should be back to animation work in the near future too! Hoping you all have an amazing year to come and I look forward to sharing my journey with you as it goes by week by week! Thank you soo much as always for supporting JabunAudio and all the associated projects and I look forward to seeing what this year has in store! See you all next week with some usual updates and take care! 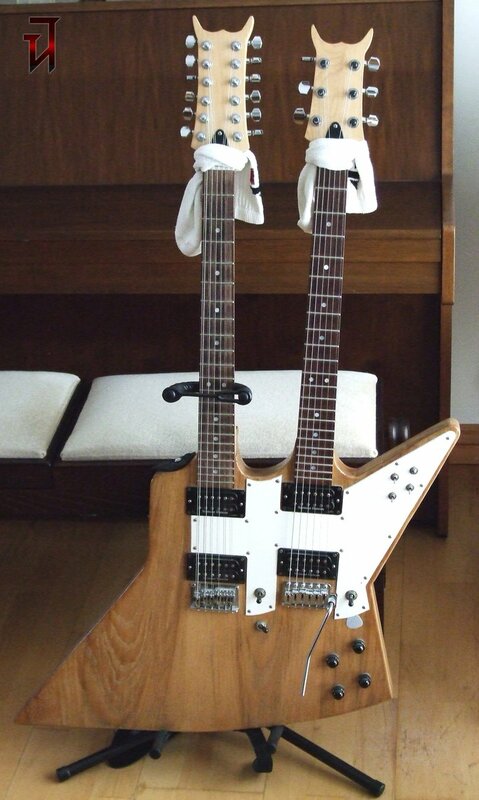 Ah, a better/bigger picture of that double-neck. Nice. I guess the cold wasn't the best present huh. XD Sounds like a fun Christmas. And a good set of goals! Good to hear that last year's set went well as well. I keep putting up bigger plans than I can achieve, but always thinking maybe next year I can achieve more than ever before! So maybe this time. :) Happy 2017! Let's make it amazing! I'm still missing/craving that big old guitar! Hehe, yup! I'm still trying to get rid of that cough too! A fun holiday it was indeed! Cheers man, and agreed: Let's make 2017 amazing!